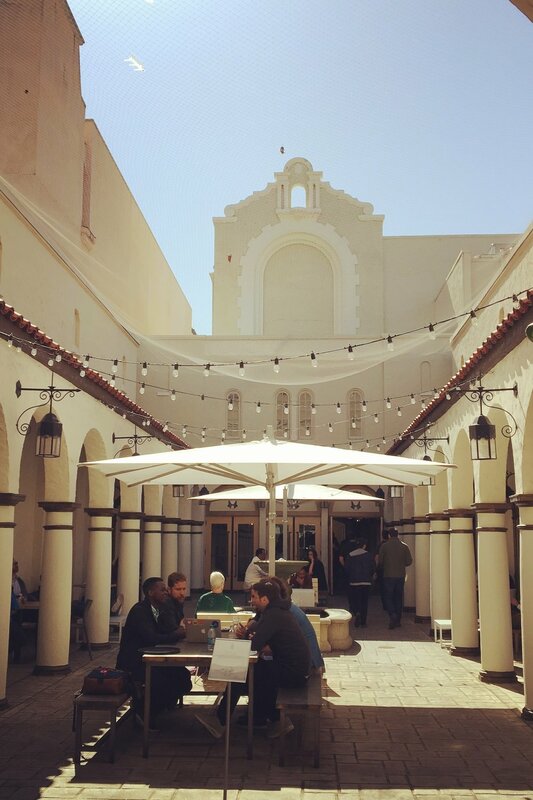 Since its launch in March 2015, HanaHaus has embodied Hasso Plattner’s vision of a public workspace café tailored to the community of technology innovators in Silicon Valley. Thousands of entrepreneurs, investors, students, professors, and coffee aficionados show up every day and make HanaHaus the place to be in Palo Alto, California. Judging by the status quo, one could say that this innovative concept of combining a coffee shop and a co-working space has become an efficient gateway to the world’s most exciting tech community. HanaHaus is located in a unique 90-year old Mission Revival Style building on University Avenue in Palo Alto - right across from where Steve Jobs opened one of Apple’s first flagship retail stores in 2001. This is the neighborhood where many unicorn startups were born and tech giants like Mark Zuckerberg reside. Stanford University and the world-famous garage where Hewlett and Packard started their business 78 years ago are only a stone’s throw away. Originally established as a movie theatre in the 1930s, the building has always been a gathering point for the community and HanaHaus is the latest incarnation of it. 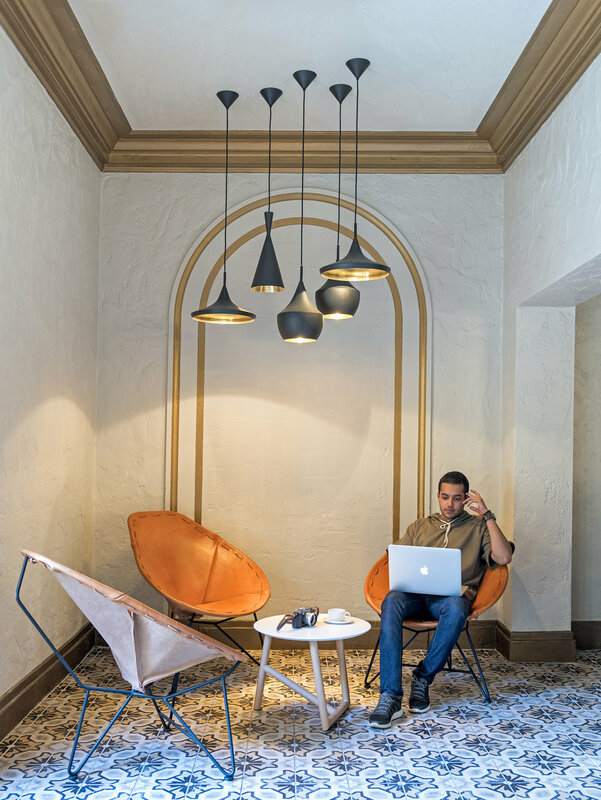 For two consecutive years, 2016 and 2017, San Francisco Magazine named HanaHaus the “Best Co-working-space in the San Francisco Bay Area.” This achievement is a confirmation for our concept and demonstrates our success and popularity. Up to 2000 customers walk through our doors daily for either coffee, casual meetings or conducting business. Since HanaHaus opened in March 2015, more than 17,000 entrepreneurs, startups, founders, innovation managers, venture capital investors, students, professors, researchers, and artists have used our workspaces. If you would like to learn more about them: check out the “People of HanaHaus” blog on the website and make sure to follow the social media channels (Twitter, Facebook and Instagram) for the latest update. According to Hasso Plattner, Co-founder and Chairman of the Supervisory Board of SAP, coffee is an integral part of the workspace concept. Today, HanaHaus is an oasis for coffee lovers thanks to Blue Bottle Coffee, one of the rising stars in the food and beverage industry. It is famous for high quality products and organic ingredients. They offer delicious types of traditional coffee, cool drinks, amazing salads, and sandwiches. The latest highlight is the outdoor bar in the courtyard, which offers special coffee cocktails. And the best part? Blue Bottle Coffee also teaches you how to brew coffee, during weekly brew classes. HanaHaus is not only a coffee shop and co-working space, but also a spacious location for events. We host frequent speaker sessions, workshops and networking events focused on technology and science for the community. On the first Monday of each month, we bring the mission of Design Thinking in a casual meetup open to everyone during lunchtime. The third Thursday of each month is reserved for Café Scientifique - a speaker series event with lectures on the latest science topics presented by renowned researchers. Additionally, HanaHaus can be reserved by companies and organizations who want to host science and technology events. After more than two years, HanaHaus has grown to be an important part of the business for thousands of people in Silicon Valley. Hasso Plattner’s vision has become reality and the HanaHaus team drives it forward together with our community, one day at a time.